Lock in a great price for The Polynesian Resort – rated 8.4 by recent guests! 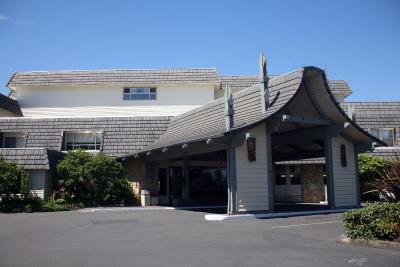 The staff was great, the hotel is very family and pet friendly, our room was clean. We enjoyed our stay so much, we booked again for this summer. Great location, continental breakfast was good, room was clean and comfortable. Gail was helpful and friendly on the phone and in person. She helped fix a booking.com mishap and made sure we had an adequate room before we arrived. As other people have stated, the décor is outdated, but who cares really? It would probably just increase the price if they updated everything! Will stay again. They even have a frequent stay punch card, like a mocha card. And the Sunday brunch at the restaurant was excellent, especially with the 10% off coupon they give you. The resort is a bit outdated but does offer many great qualities that made our stay very enjoyable! First, the location is great! We had an ocean-view room on the third floor and loved to look out and see the ocean. Second, the resort does offer dog-friendly rooms at a very reasonable price and a nice pet area that has doggie bags and is well lit at night. Third, the staff are wonderful and are happy to assist with any special requests. Fourth, the pool and hot tub are super warm and feel great on a cool day. Fifth, the on-site restaurant Mariah's has great food and will even deliver to your room! There are many other qualities that make this a great resort to visit such as free wifi, free continental breakfast, game room, cable TV, DVD players, kitchenettes, and comfy beds! 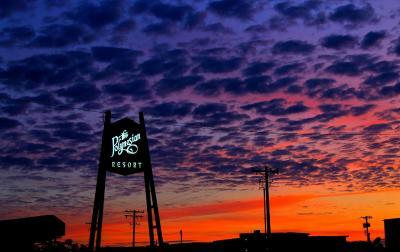 I would definitely consider this resort again if we return to Ocean Shores! Thank you! The one bedroom suite was large and comfortable, a nice place to unwind after a day out. The pool was nice and warm and all the kids enjoyed it. Dog friendly, convenient, super helpful staff and large comfortable suites! 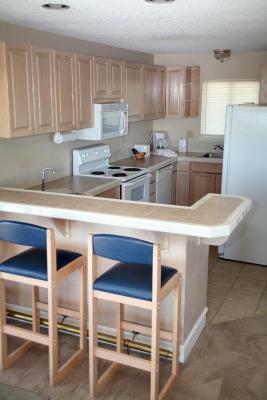 The location overlooking the Pacific Ocean in Washington (Ocean Shores) and the friendliness of the staff alway helpful. Our room was very spacious and clean with a separate bedroom, kitchen, and living room with a nice deck. Just needed a room but will not return to the Polynesian..room too look small for the price and bathroom sucked. The Polynesian Resort This rating is a reflection of how the property compares to the industry standard when it comes to price, facilities and services available. It's based on a self-evaluation by the property. Use this rating to help choose your stay! One of our top picks in Ocean Shores.Offering an indoor heated pool, this beachfront resort is in Ocean Shores, Washington. A complimentary breakfast is served Monday to Saturday from 8 am to 10 am. Each guest room at The Polynesian Resort features cable TV with a DVD player and a patio. A private bathroom with a bathtub or shower is included. Guests can dine at the on-site restaurant, and relax afterwards in the hot tub or dry sauna. Outdoor activities can also be enjoyed here, thanks to a private park with a children’s playground and a number of sports courts. The Polynesian Resort is a 5-minute drive from Ocean City State Park and an 8-minute drive from Quinault Beach Resort & Casino. When would you like to stay at The Polynesian Resort? This contemporary room features a full kitchen, a dining area, and a sitting area with a sofa. Cable TV with a DVD player, a patio, and a private bathroom with a bathtub or shower is included. Please note that complimentary continental breakfast is served Monday to Saturday only. This 1-bedroom suite features a living room with fireplace, a full kitchen, and a sofa bed in the living room. This queen room includes a kitchenette with a 2-burner stove top, a small refrigerator, and a microwave. This 2-bedroom suite features a living room with a fireplace and a full kitchen. A hairdryer is provided in the private bathroom. This quadruple room features a balcony, dining area and stovetop. 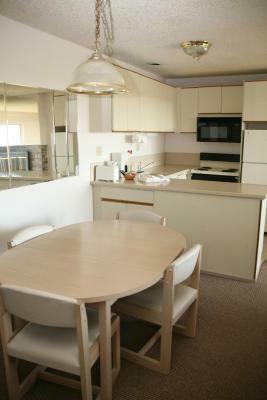 This quadruple room features a microwave, stovetop and kitchenware. This double room features a seating area, microwave and mini-bar. This suite features a dining area, seating area and oven. This suite has a balcony, sea view and oven. House Rules The Polynesian Resort takes special requests – add in the next step! The Polynesian Resort accepts these cards and reserves the right to temporarily hold an amount prior to arrival. Please note that pets cannot be left unattended in the guest rooms. No more than 3 pets are allowed per room. The pet fee applies per night. A valid credit card is required at the time your reservation is made. A deposit equal to one night room and tax will be charged to this card at the time the hotel accepts your reservation. no can opener, S & P, baking pans or something to put in oven to warm up or broil. furnishings a little "tired"
Room was not clean, dirty floors, dishes, bad odors in the room. Kitchen was not well equipped, no ocean views from the 2nd floor, not really an ocean front property as advertised. My teenager was promptly kicked out of the pool at 10pm, even though we were the only ones there and enjoying ourselves. I get no one under 18 after 10pm, but still. Also felt a bit like we were being watched by the front desk guy. Decor is out-dated and it is a bummer that you cannot burn a real fire in the fireplace, however, the duraflame logs provided a nice ambiance! Maybe provide one free log for each night of stay?